How Can I Go Adair Skin Care of Killearn? Where is Adair Skin Care of Killearn in Tallahassee on the Map? I love Adair! Amber is an amazing professional providing the highest quality of care. I received a deep sea peal today and it works wonders! You are in good hands with someone who is knowledgable and profeshional. 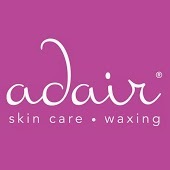 I had my first facial from Adair about a month ago and loved it! I've been getting acne facials for a few years now and I decided to try Adair instead of going home to get one. Amber was amazing! She was very gentle and I felt totally pampered. All of the products she uses are completely natural and smell so good. After she was done with the facial she used a cream that reduced swelling and redness that made me feel so much better. Before, my face would always be super sensitive for a couple days after and feel almost bruised, but not this time! I also started using the treatment kit she offers and the products have made quite a difference. I absolutely loved my experience and can't wait until my next facial! I have been a client of Amber's for several years now and have been continually impressed with her level of professionalism and knowledge. She is the only aesthetician in the area that I trust for my waxing needs. I've also had a vajazzle done by Amber which was different but totally fun and even lasted a week! My favorite service, though, which I recommend you all get immediately, is a custom facial. I would gladly take that over an hour massage any day. Thank you, Amber, for such excellent service with a smile! About six weeks ago I decided that as a graduation present to myself I should start taking better care of my skin. Having never had a facial before, I did some research that led me to contact Amber. 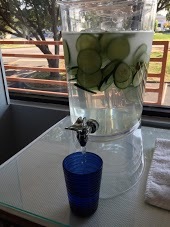 At my consultation, Amber was very attentive and quickly pinpointed issues I have with my skin. At my initial consultation, Amber recommended products for me to use. Having experimented a lot with skincare products, and a former user of accutane who still struggles with breakouts and balancing my skin, these products seemed to be miracle working godsends!! Already over the moon with the products Amber had me start to use, my first facial with her left my skin in wonderful condition. I've since had two other facials with Amber, and each time I leave feeling very happy. I can safely say that my skin, which has caused me so much grief over the years, has never been better. Since I'm moving abroad in a month, Amber has listened to my concerns about how my skin will behave in place with a lot more environmental factors (like a real winter and pollution), and has given me recommendations for future care. Amber has also been kind enough to provide me with information for me to re-order products while I'm living out of the country. It is clear that Amber runs a company that truly looks out for it's customers. I can only say that I hope I visit Tallahassee in the future, if only to get another treatment from Adair Skin Care! Amber is a fantastic and truly knowledgeable esthetician! I have very sensitive skin and have struggled for years to find products that could work with my skin. Not only has Amber knocked it out of the park, but she also gave me free samples to try before we found two products that work great. Her prices are reasonable, and she never makes you feel rushed throughout your appointment. She also custom-blends products, including a fantastic new lip balm that I love! I would recommend anyone to her, without hesitation. A+! *edit 3/12/14 Amber has been of great help recommending quality products that really help with my skin. My skin can't take any of the products sold in the drugstore, and Amber's experience with my skin had led me to choose products that are much more natural and better quality, particularly the line she has access to as a professional. Very happy!